If you’re breathing, you most likely know what Facebook, Instagram, and Twitter are. While there are many different social media sites, these are the three pillars. And if you run a business, you know how important they are. Advertising and branding used to be simple. Run an ad in the newspaper and on TV, and everyone would see it. It’s a bit more complicated now since everyone has their own social media preference and a majority of people won’t see your content due to algorithms. So, are you going to call it quits on social media and just let your clients and customers find you somehow? No! You’re going to take that can-do attitude and multiply it by ten. Social media is a bit tricky and it’s hard to make it a priority, and I always recommend outsourcing it when possible. Let the marketing experts do what they’re best at! 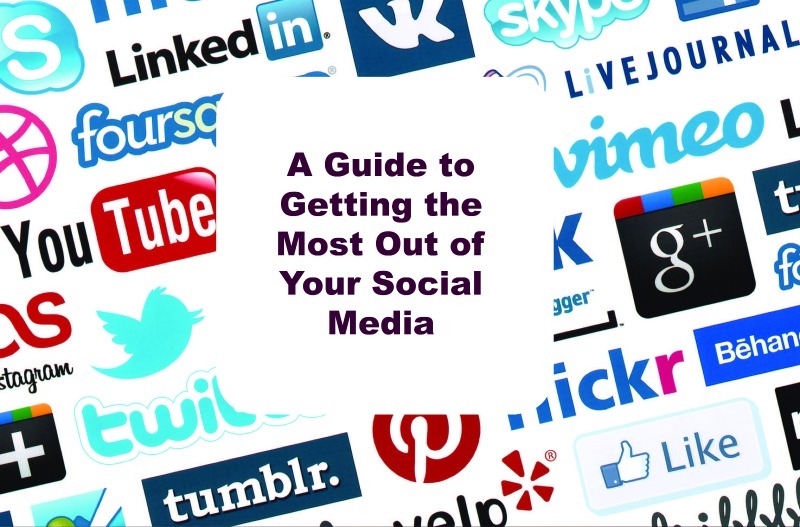 But if you don’t have the means or are just that ambitious, here are a few tips to get you started on a great social media presence. The easiest way to fall behind on social media is to not schedule your posts. If you are planning on posting about something, but life gets in the way, guess what gets pushed to the side? Your social media. Scheduling in advance will give you some wiggle room and let you focus on other tasks. Since only a percentage of people will see each post, it’s perfectly acceptable to reuse content sometimes. Just make sure to switch up the wording! You know what’s boring for your audience? Boring content. Switch up your wording and know how you should be writing for each platform. A general rule of thumb: Facebook is about the past, Twitter is about the present, Pinterest is about the future (Yes, Pinterest is extremely relevant if you’re selling a product). Write accordingly! And if you think you need to use every platform to get the most coverage, think again. Find the platforms that your ideal clients and customers are using and invest the most time there. This gets a bit tricky since people gravitate toward their phones at different times of the day and they might only check one platform. Good news! There are plenty of articles that can help you out. Experiment with different posting times and see what works best for you! Here’s just one example of a blog that guides when you should post to social media. Don’t use any jargon that your audience won’t understand. I don’t understand car lingo, so I’d hate if a dealership told me all about their newest car in technical terms like cylinders, pillars, and torque (I had to look those up). Write your copy as if you’re talking to someone who has no idea what your company does or what your product is. Make it easy for people to understand! Have fun with it! If you’re just posting, “check out the latest cars we have” or “we’ve got a few tips on how to keep your electric bill down this summer,” people will get bored. Give your brand a personality so people will want to come back and read your posts. And better yet, they’ll remember you when they’re needing whatever you’re advertising. I can’t stress this enough. If you’re wanting more followers and/or engagement, you need to use hashtags. Use hashtags for Twitter and Instagram, primarily. Hashtags on Facebook never really took off, and not everyone will browse through a specific hashtag. Don’t know where to start with hashtags? Check out this article. While there are hundreds of things to think about when making a name for your business on social media, focusing on these tips should help you get started. Bottom line: keep researching and learning about what’s trending and use your social media accordingly. Your sanity (and hopefully your wallet) will thank you. Claudia Young is a 20-something graduate from Arkansas Tech University. She has a degree in print journalism and a minor in social media. To learn more, see the Meet the Team page.